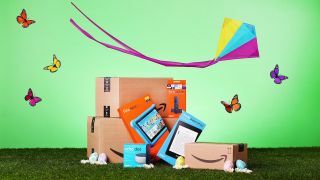 All Amazon Spring Sale deals here. Amazon is having a Spring Sale, offering discounts on 100s of products across its entire range of stock. As such, we've tracked down the best Amazon Spring Sale game deals, to help you save a little cash on your gaming stuff this week. The event runs from April 8-15 and is currently a UK-only party (sorry US audience), and we've already spotted plenty of great gaming bargains with more to be added later in the week. Right now, the hot discounts are on PC parts and accessories. Razer and Logitech are both having discount events, and Samsung is cutting the price of SSDs (this 1TB 860 EVO SSD at £103 is a top pick) and external SD cards (handy for Switch). There are a handful of games and console deals in the sale too, and we've rounded up the best below. What's more, we'll keep this list of the Amazon Spring Sale game deals active all week, so keep checking back to see what we've added.